Not a potato in sight! 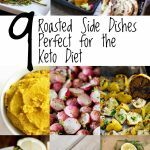 The nine roasted vegetable side dishes in this list are all perfect for those on a low carb or keto diet. Or for anyone looking to add more vegetables to their diet. 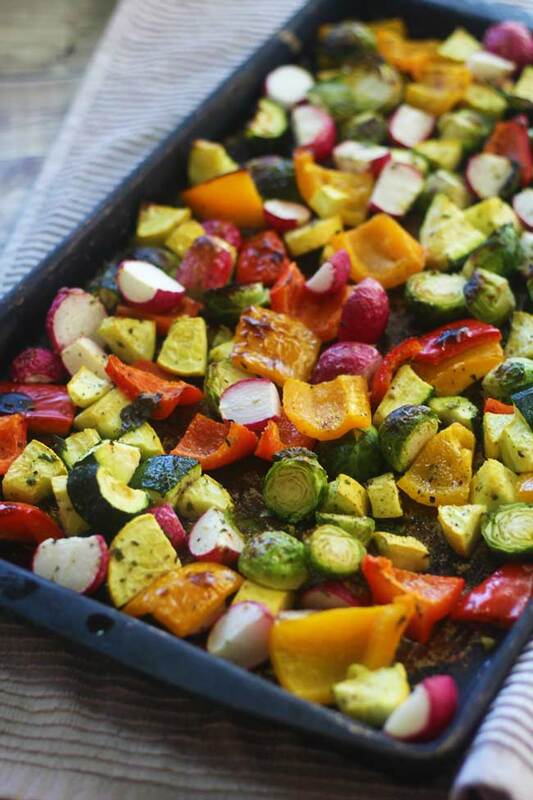 The dishes are all simple to make for dinner, can be served to vegetarians. 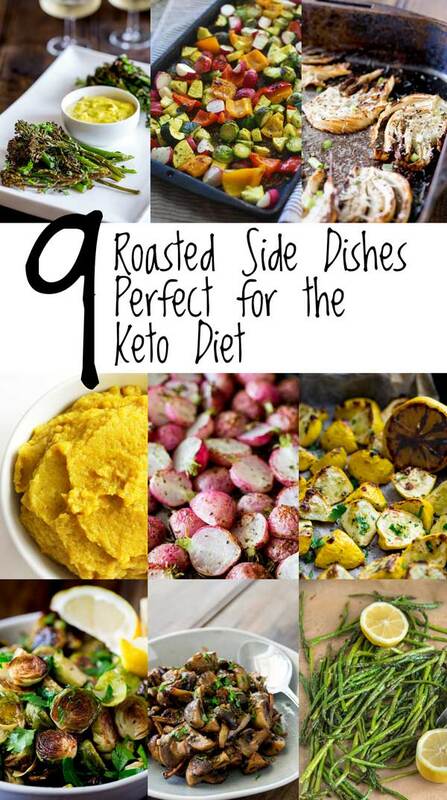 So get some new ideas for healthy, easy, clean eating sides. Plus many of them are dairy free! 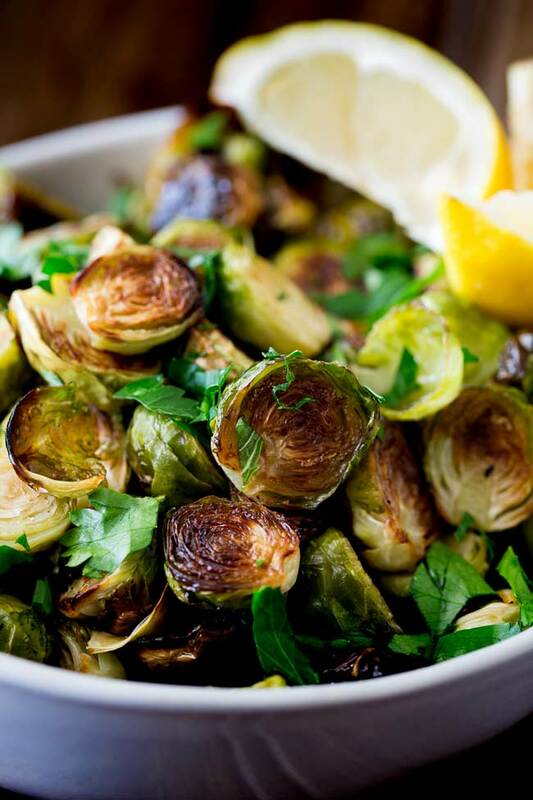 Serve these brussel sprouts with pork tenderloin for a delicious and different Keto dinner. 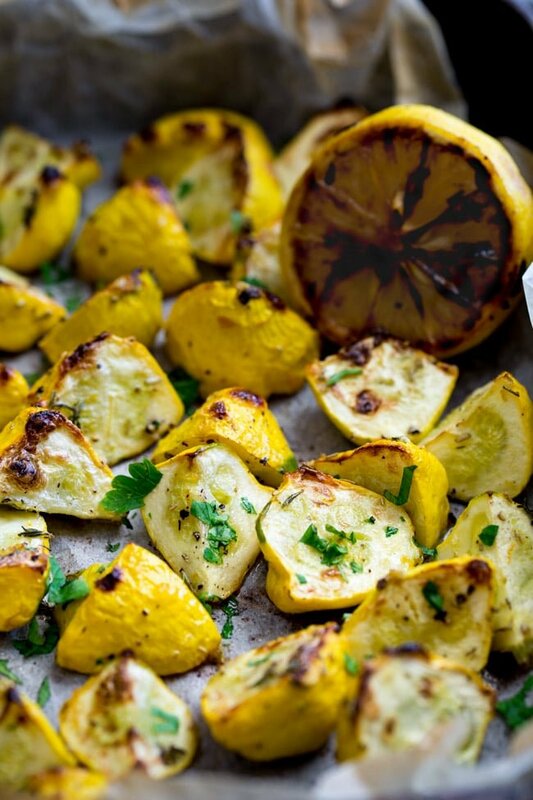 The charred lemon adds a sweetness without the need for diet running sugar! Great for those missing the carbs. 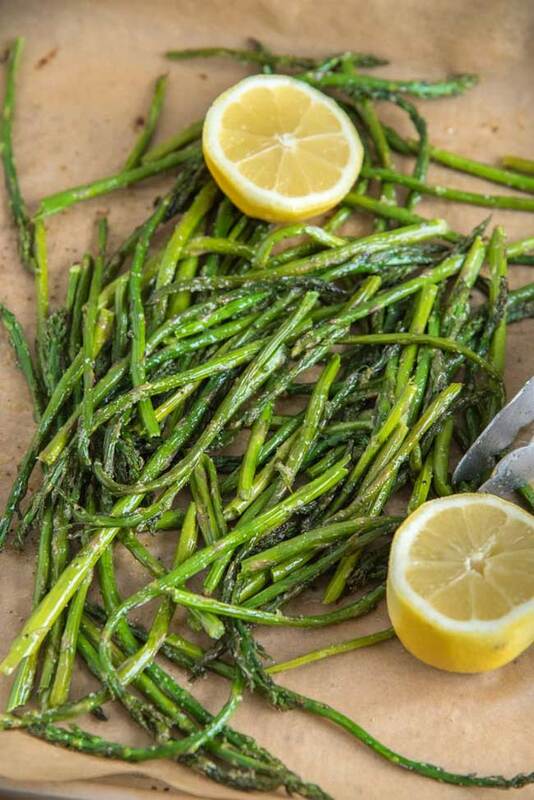 The perfect keto side dish, try serving it with roasted or grilled fish. 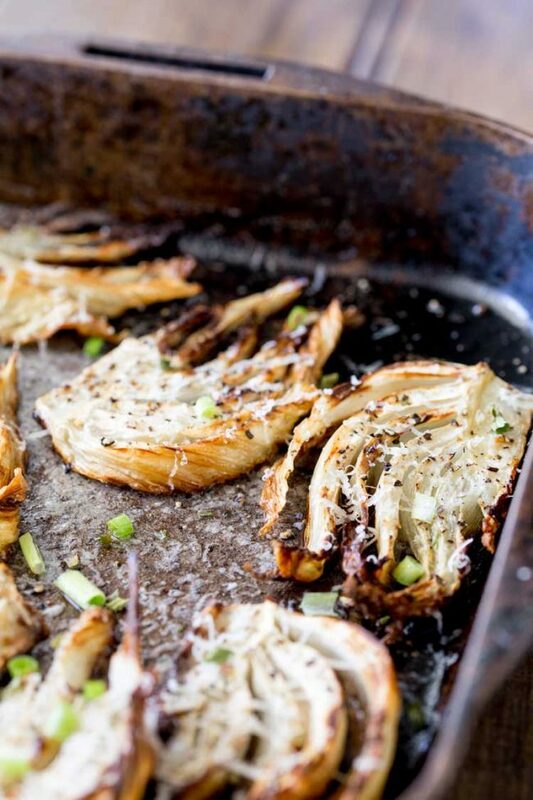 The perfect side for grilled steak or chicken. 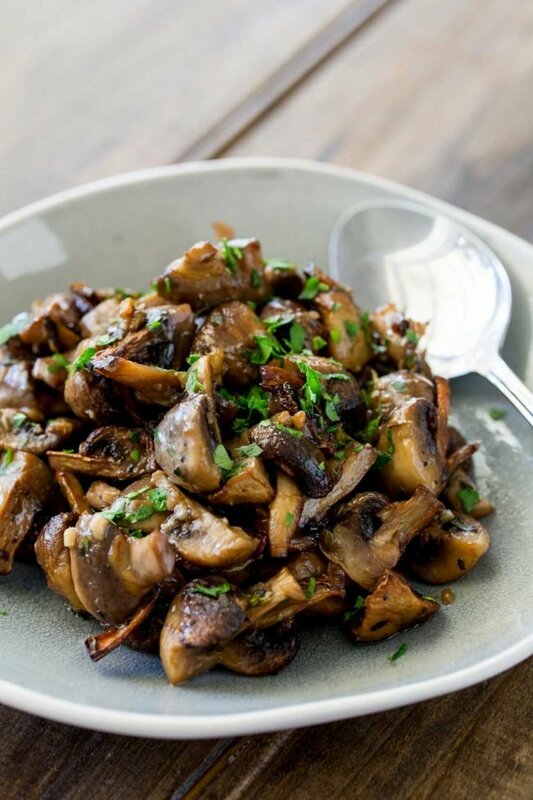 Mushrooms cooked with butter, garlic and thyme. Different and delicious. 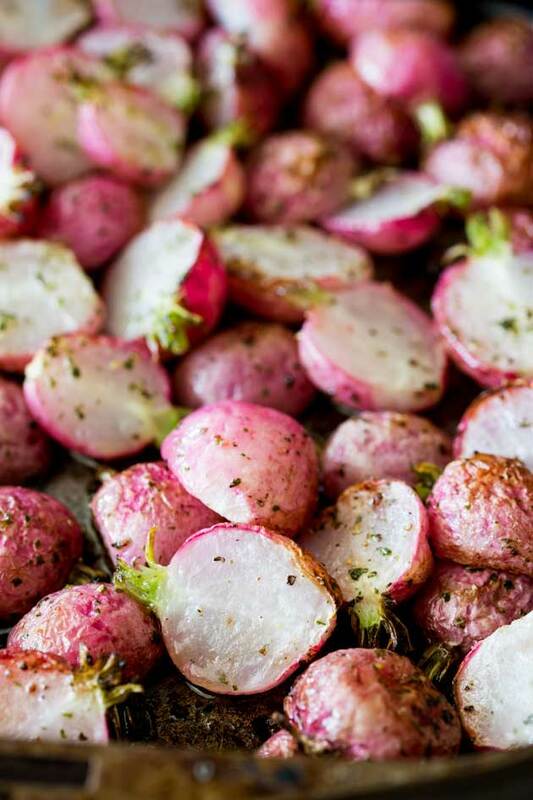 Serve these roasted radishes with chicken or fish for something just a little bit different. Serve this with seared steak and you won’t even miss the fries! 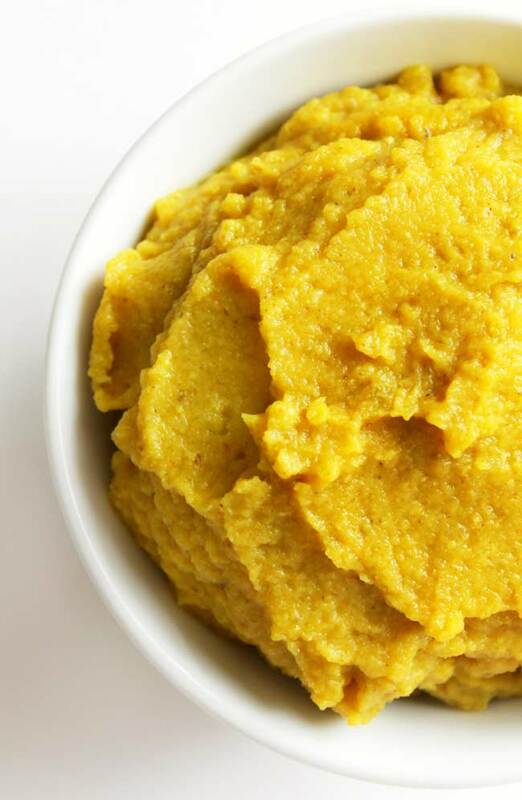 If you are missing mashed potatoes to go with your pork chop then serve this glorious roasted cauliflower puree from Strength and Sunshine instead. 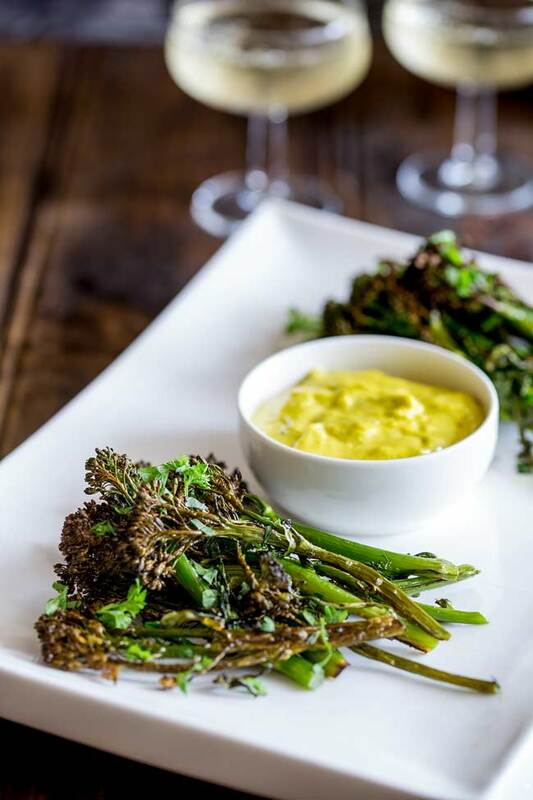 The possibilities are endless with this side dish from Moscato Mom. Serve it with Mexican chicken and stuff it into lettuce wraps for a low carb taco? Serve this with some roasted fish and a simple drizzle of melted butter for a easy and elegant dinner.